Simple definition of installed shafts, including hollow ones. Options of definitions of necking-down, recesses, grooves and calculation of the relevant coefficients of stress concentration. Simple definition of spatial shaft load. 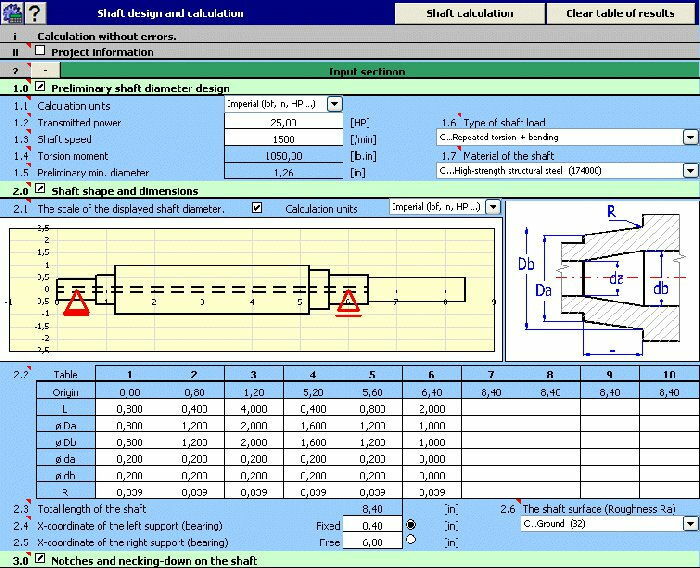 Calculation of reactions, courses of forces, moments, stress, deflection and bending angle of the shaft and others. Calculation of critical speed and safety coefficients (dynamic, static). Support of 2D and 3D CAD systems. The calculation is based on data, procedures, algorithms and data from specialized literature and standards AGMA, ISO, DIN and BS. List of standards (DIN 743). 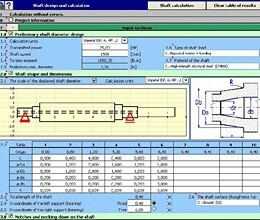 * MITCalc Shafts download link provides trial version of the software. MITCalc Shafts has been rated 5.0 out of 5 points. A total of 1 votes cast and 0 users reviewed the software.